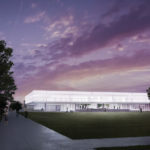 The Illinois Institute of Technology (IIT) broke ground on the Ed Kaplan Family Institute for Innovation and Tech Entrepreneurship. 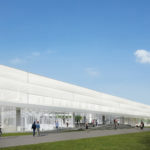 Designed by Chicago-based John Ronan Architects, the new building will be added to the iconic Mies van der Rohe-designed IIT campus. The two-story Ronan design will sit near the heart of the South Side Chicago campus. 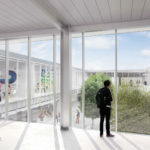 While it takes cues in form and scale from the gridded campus, the design also incorporates some of the latest in sustainable design and technology. 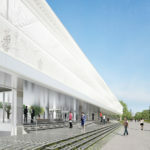 In particular, the second floor is wrapped in a cloud-like ETFE (Ethylene Tetrafluoroethylene) foil cushion facade, a technology that has rarely been used in the United States. The dynamic skin system will control the building’s solar gain by varying air pressure to move the position of the integrated diaphragm. The project has a goal of achieving LEED Silver once completed. 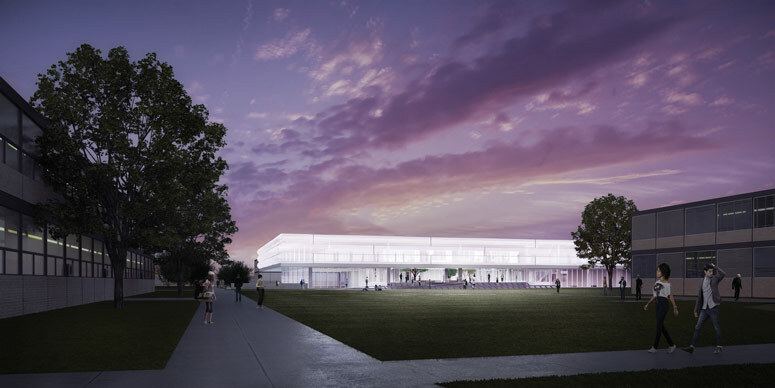 “The Kaplan Institute is not merely a new classroom building, it is an idea factory. It is a place of creative collision between students and faculty across disciplines. Where new ideas will be explored on their way to becoming meaningful innovations,” explained John Ronan to a packed hall at the ground breaking at IIT. 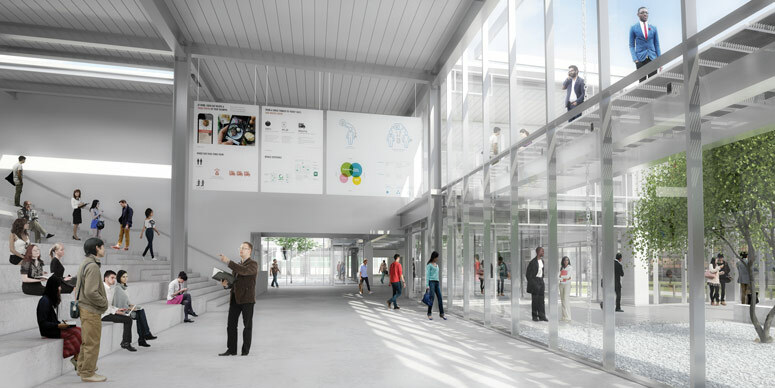 The building’s lower level includes two open courtyards through which students will enter the building. 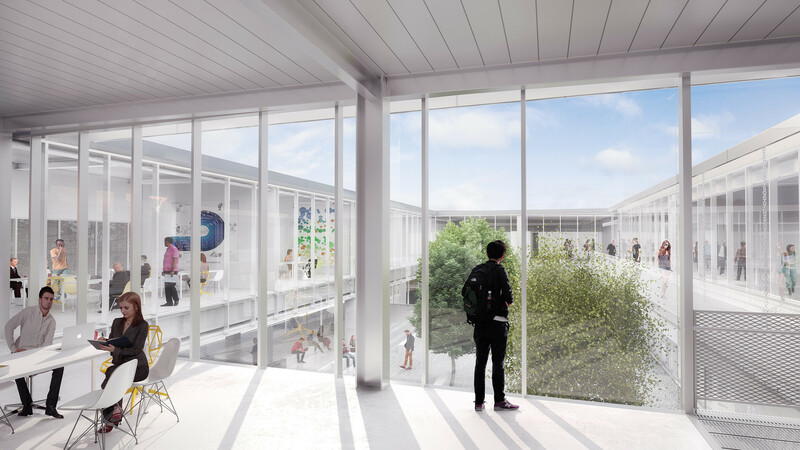 These courtyards will also bring light and air into the center of the institute. 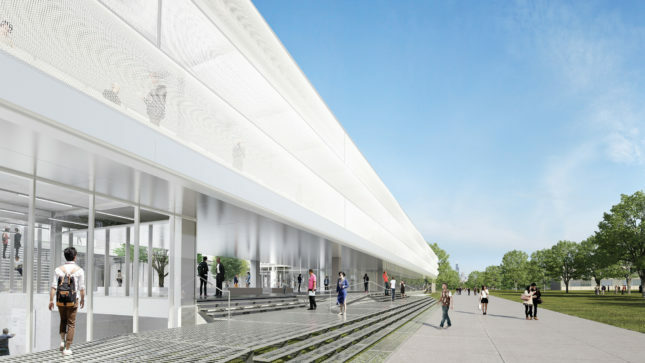 Circulation through the building is indirect to promote collaboration and chance interactions. The large open floor plates allow visual connections between many spaces, enforcing the idea of connectivity between disciplines in the building. 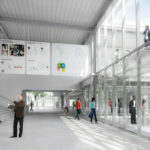 The project will be home to the university’s Idea Shop, its IPRO Program, and the Jules F. Knapp Entrepreneurship Center. 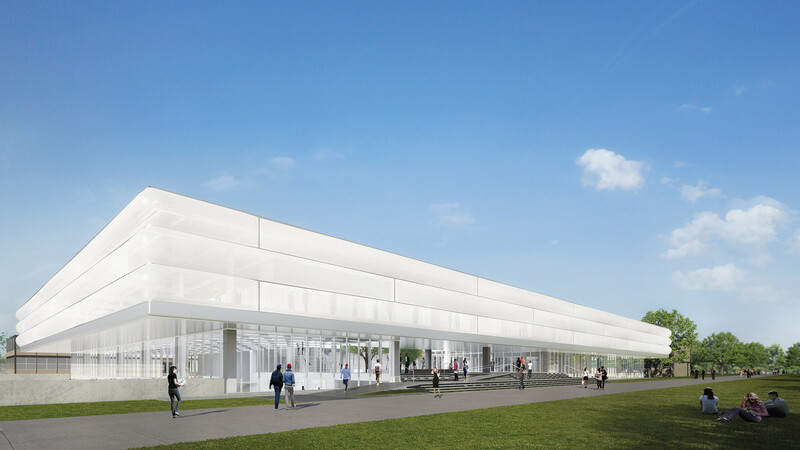 The building will also host undergraduate courses for the Institute of Design, the descendant program of Moholy Nagy’s New Bauhaus.